Within weeks of establishing McAlister Family Law, Amanda McAlister has bolstered her team with the appointment of Liz Cowell and Fiona Wood. The duo joins McAlister Family Law as partners. The recruitment of two heavyweight and high profile Manchester solicitors is a real coup for Amanda, who has experienced an incredibly successful start at McAlister Family Law. 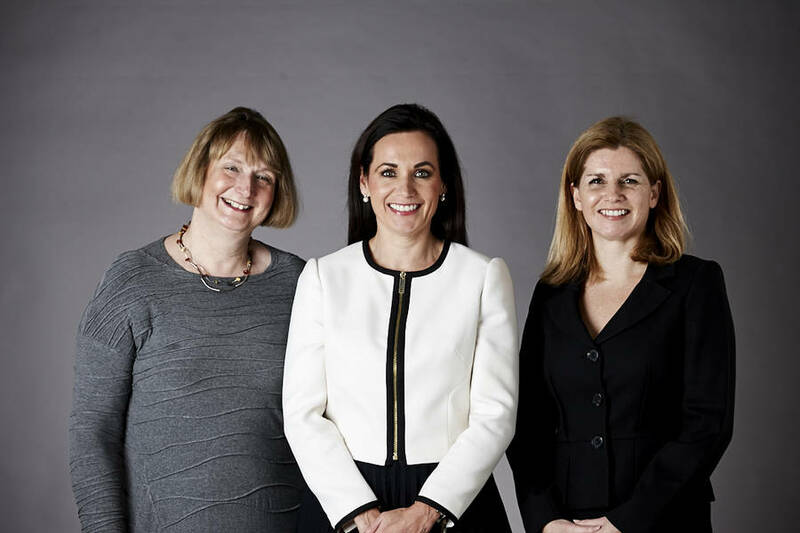 Liz and Fiona were both previously partners at Pannone, prior to Slater & Gordon acquiring the firm, and have each carved out hugely successful careers in family law. Liz practices in all aspects of family law and is regarded as a ‘leader’ in this field with vast experience of cases involving inheritance issues, pre and post nuptial settlements and cohabitation agreements. She sits as a Deputy District Judge, practices as a Family Law Arbitrator and is a Member of the Law Society Family Law Panel. Liz is also a Member of the Institute of International Family Lawyers, which allows her to assist her clients who are resident abroad. Fiona specialises in divorce cases where there are substantial and complex assets involved, often acting for business owners. She is accomplished at protecting assets, reducing the impact of the divorce on a business. She is recognised and commended by The Legal 500 for her “pragmatic advice, robust responses…and good overall case management” and she “exudes confidence and calmness” providing “expert guidance”. Commenting on the appointments, Amanda says: ‘It is great to be working with Liz and Fiona again. Both are dedicated to the provision of family law and I am delighted that they have decided to join McAlister Family Law.